Justin Gollob | Colorado Mesa Univ. Justin Gollob, PhD, received his Bachelor of Science in Political Science from Idaho State University and went on to earn his Master of Arts and PhD in Political Science from Temple University. 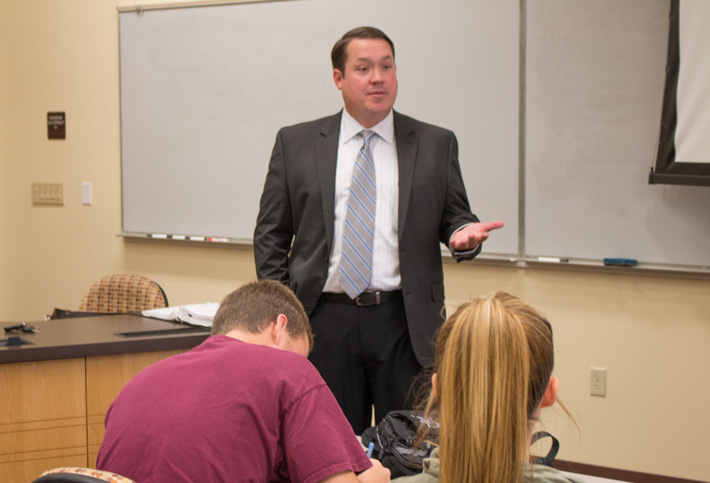 An associate professor of political science, Gollob teaches American Government, The Legislative Process, Public and Elite Political Behavior, State and Local Government and The American Presidency. Gollob also serves as the coordinator for the political science program's internship program. His goals in the classroom are to create both informed consumers of politics and effective producers of political information. On the consumer side, Gollob works to demonstrate the hidden logic of American politics. On the producer side, he works to develop his students' research skills by advising their research and involving them in his own research. Golllob's research focuses on issues related to state and local government, legislatures, public policy, elections, federalism and public land management.